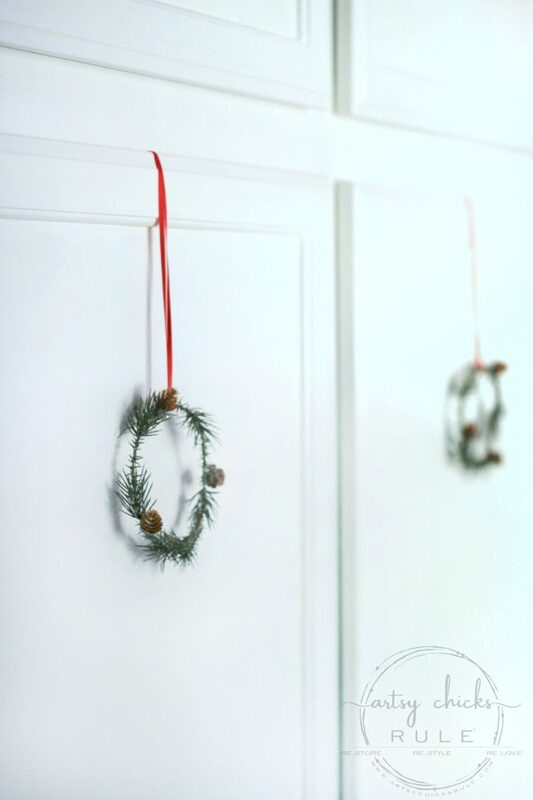 These simple DIY mini wreaths add the perfect touch of holiday cheer anywhere you hang them….and they are so easy to make too! 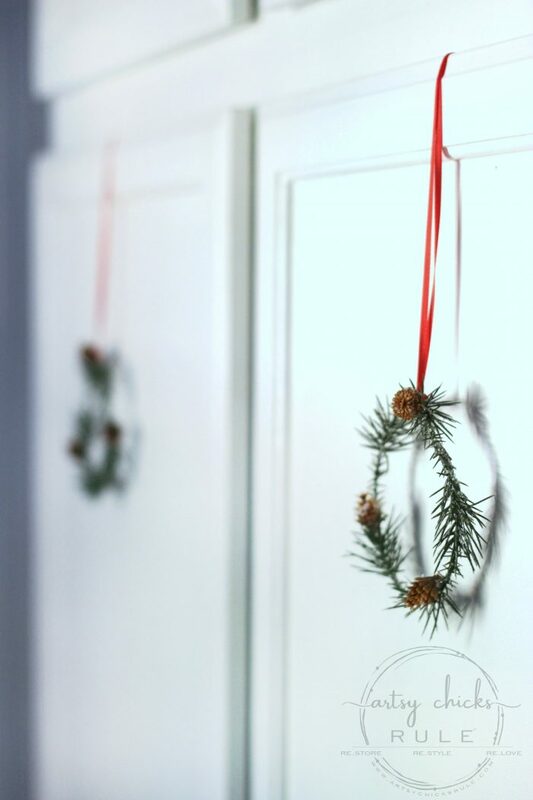 Sharing how to make these darling DIY mini wreaths today! 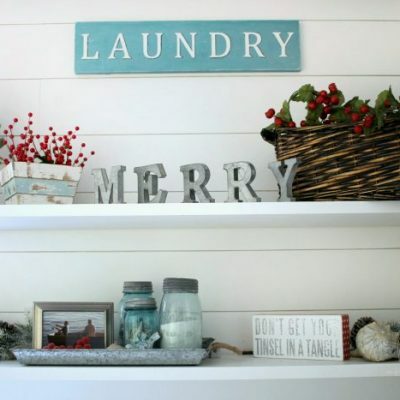 If you saw my Festive Christmas Laundry Room, then you’ve already seen these pretty little DIY mini wreaths. I thought I’d create a post to show how easy these were to make. 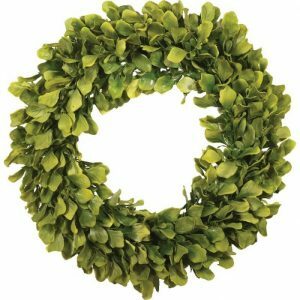 Let me first start by saying that I searched high and low, and in between, for little mini wreaths like this. None were to be found. 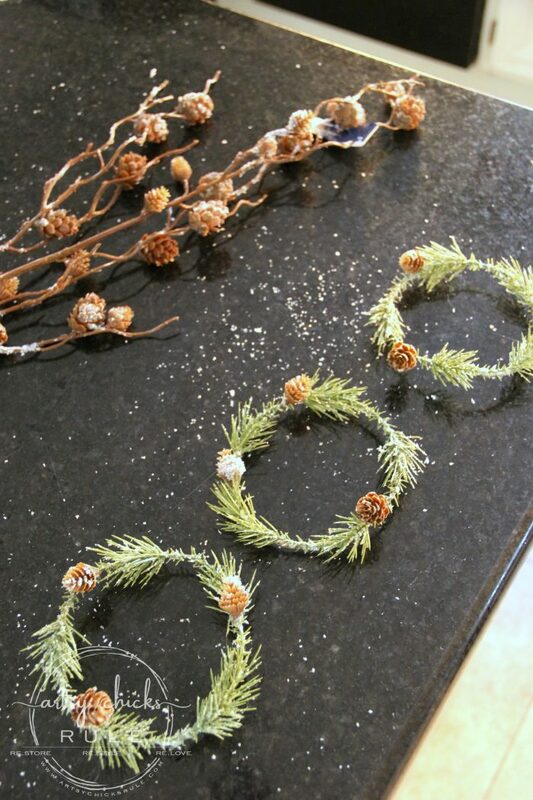 I couldn’t even find little branches, greenery or garland appropriate for these. Until I came across these little green stems at Michael’s. They were so simple but so perfect for my needs. 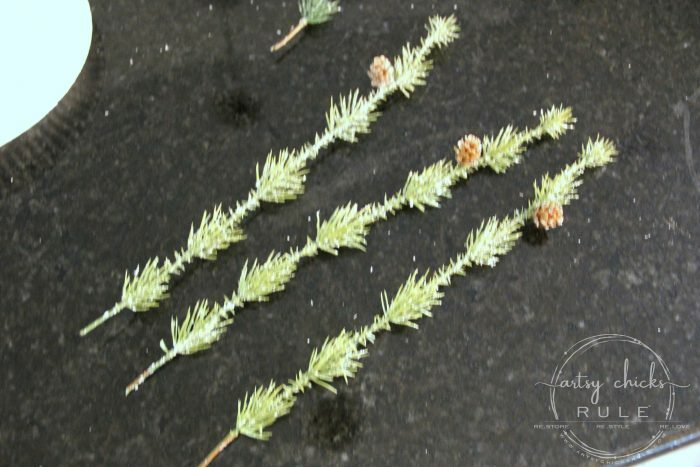 Unfortunately the stems ended up only having one little pine cone per stem. 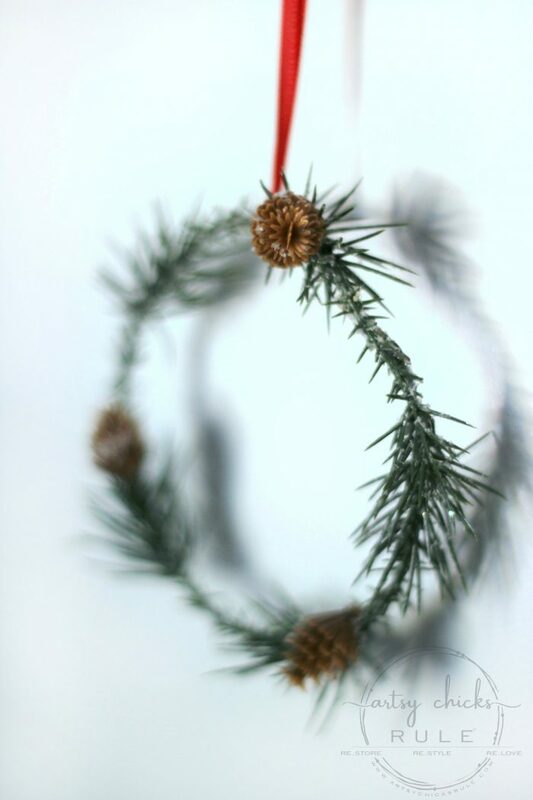 No worries, I found those other mini pine cone stems (pictured above) that would work perfectly for these DIY mini wreaths. Yay! So I clipped them as shown above. Then bent the wire in them to make them round-ish…. I used my hot glue gun to attach the ends to each other. 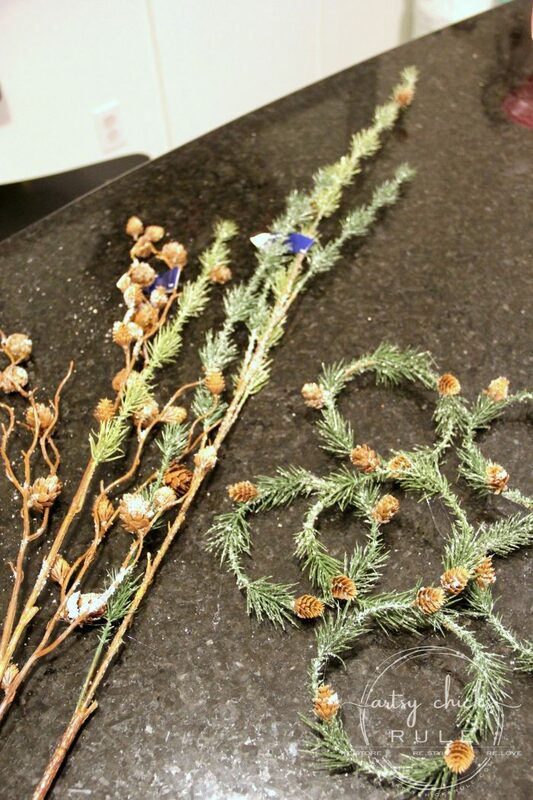 You can see I’ve pulled off the little pine cones from the pine cone stems I bought. 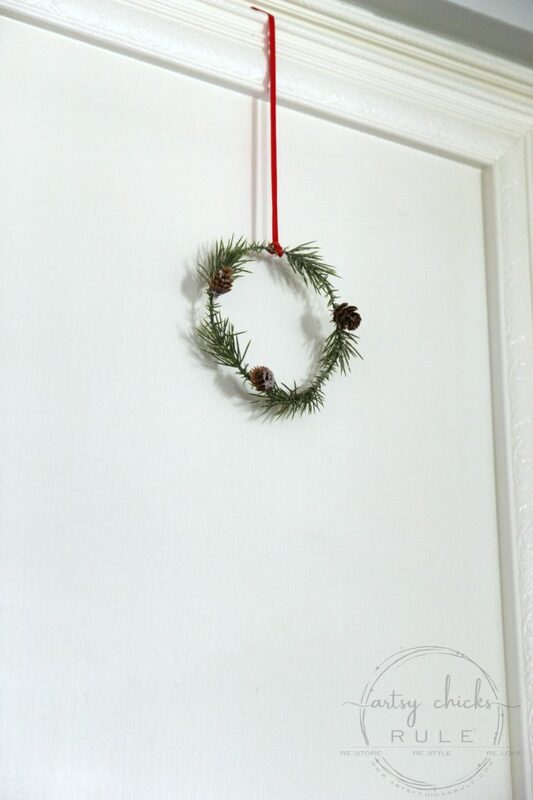 I hot glued 2 of those to each little DIY mini wreath. 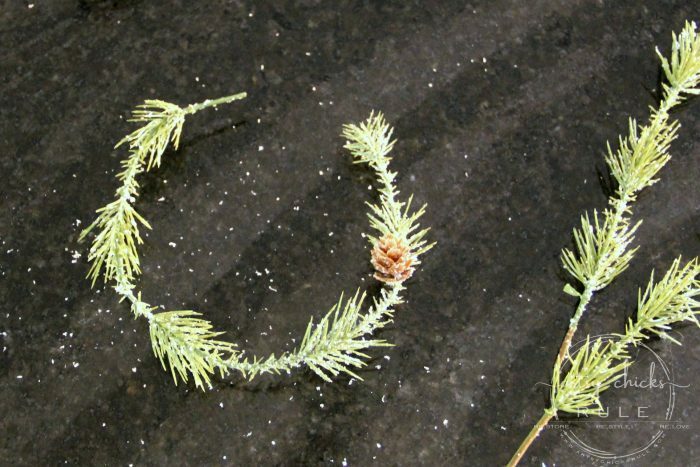 So now they all have 3 mini pine cones each. Those were on my laundry cabinets. Here is where else I put them…. 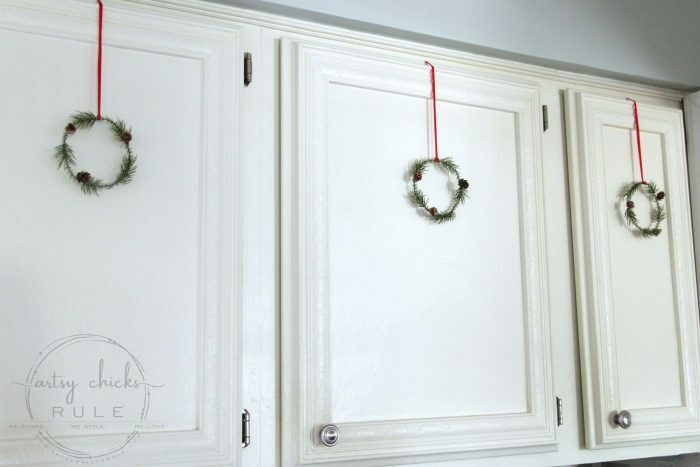 …on the 3 upper cabinet doors in my kitchen. 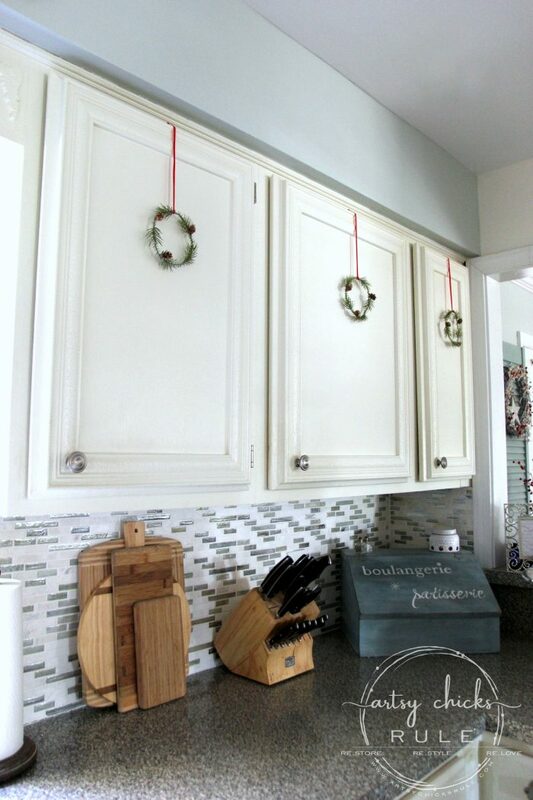 I just love the added holiday feel it gives the otherwise plain cabinets. 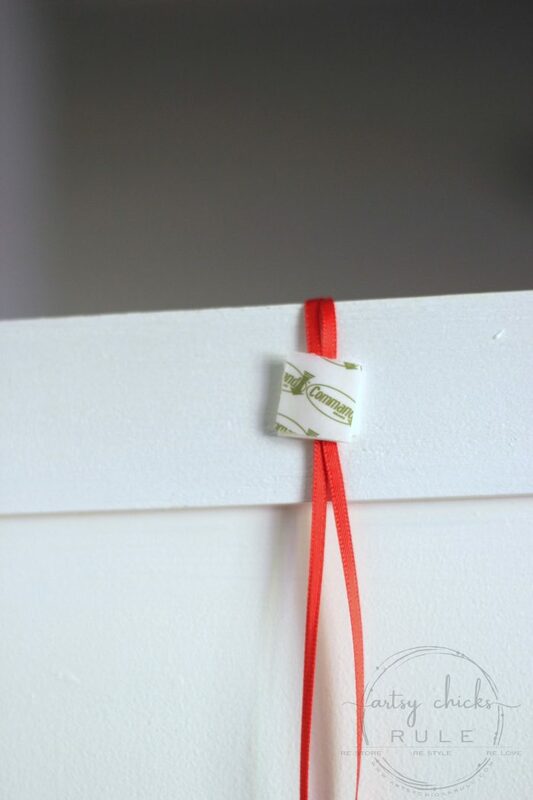 I used a tiny satin ribbon and just did a simple loop to hold them…. And then used 3m strips cut into tiny sections (no need for a whole one)…. These are the velcro style ones and it holds them very well. I’m so happy with how they turned out! And how incredibly easy they were. Hope you make some too! Let me know if you do! 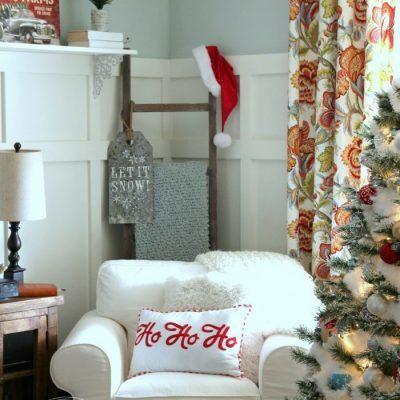 Want to see even more Christmas project inspiration? 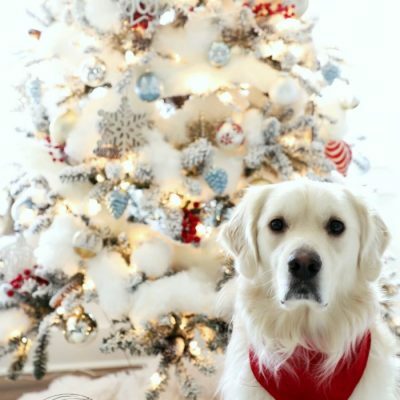 Click here for more. I hope you have wonderful week! 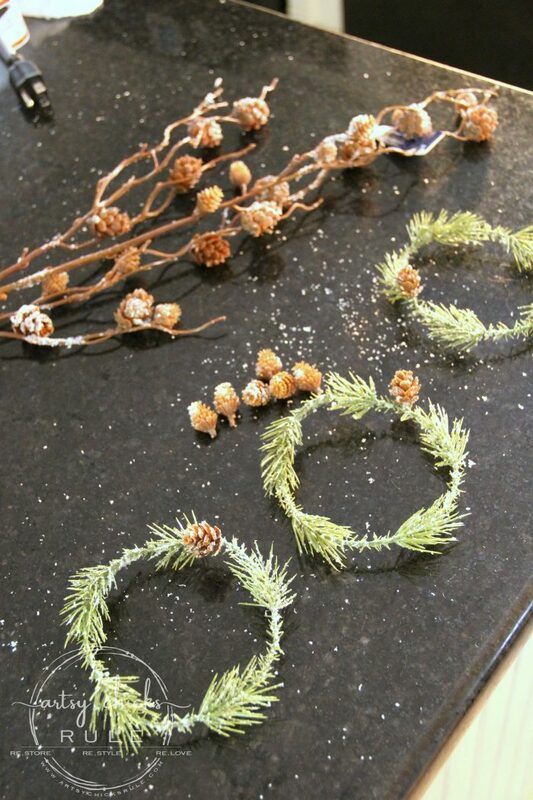 Oh my stars Nancy, these little wreaths are perfect! Seriously! 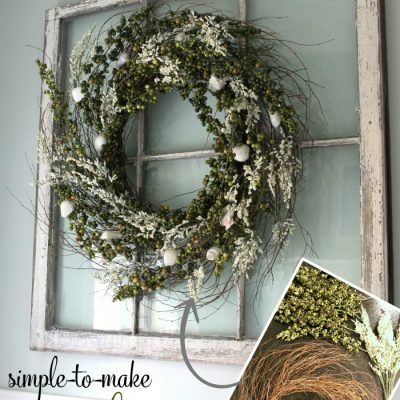 I never would have thought of a mini-wreath and they look charming. 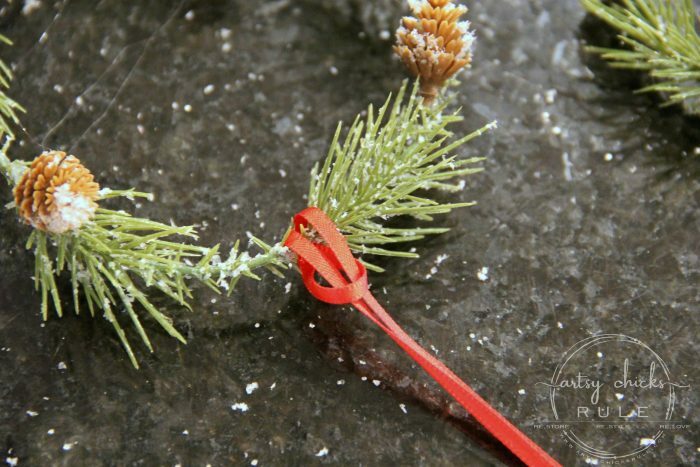 Great idea combining the stems. 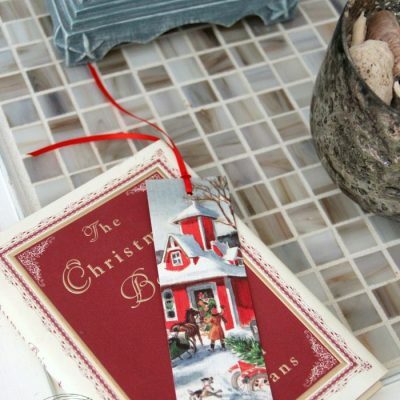 They look marvelous in your kitchen. ? 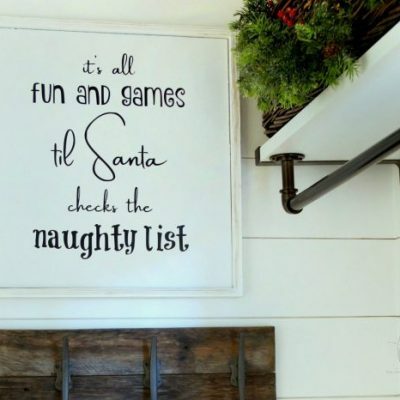 Okay, these would be lovely throughout the winter season, and even fall! And, you could do the same with some boxwood for the other seasons. 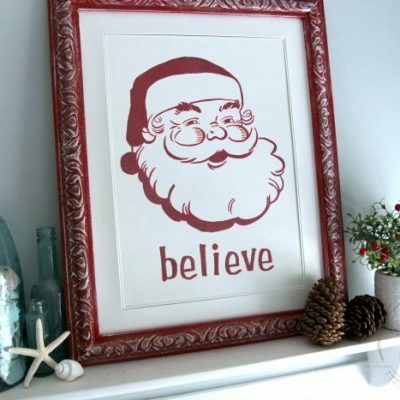 Love the idea, and how easy it is. Like how ‘simple’ they look, too! Thanks, Nancy!